Experience with ICARIAN: KINDRED SPIRITS™ the awesome story of Nyx, an enigmatic winged girl, that must descend from heaven in search of her missing friend Icarus. 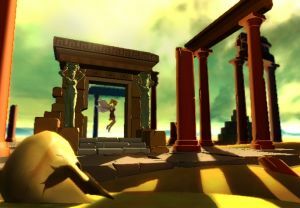 Overfly the ruins of ancient Greece and avoid falling into blazing sands or perishing in the claws of cruel harpies and hydras. With your own wrist movements and pointing to the game screen, you will be able to achieve these and many other feats in this new and enjoyable Wii™ platform game. Fly, aim and shoot using the new and fullest potential of your Wii Remote™. Through impressive sceneries, you will guide Nyx in quest of her objective, and will enjoy the ultimate Wii™ experience: the joy of flight!. ¡But be careful! These surroundings are dangerous for celestial beings. Without your help she will not be able to complete her task. 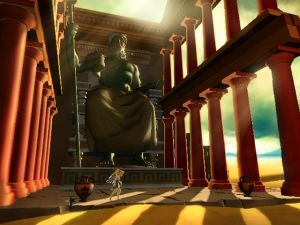 Protect and guide her flight, and take advantage of the incredible powers that gods such as Zeus or Eolus will grant…if you figure out how to reach them! - New gameplay mechanics taking full advantage of the Wii Remote™. Use your hand movements to raise Nyx, flap her wings and fly over awesome ancient Greece scenery. ¡But that is not all! 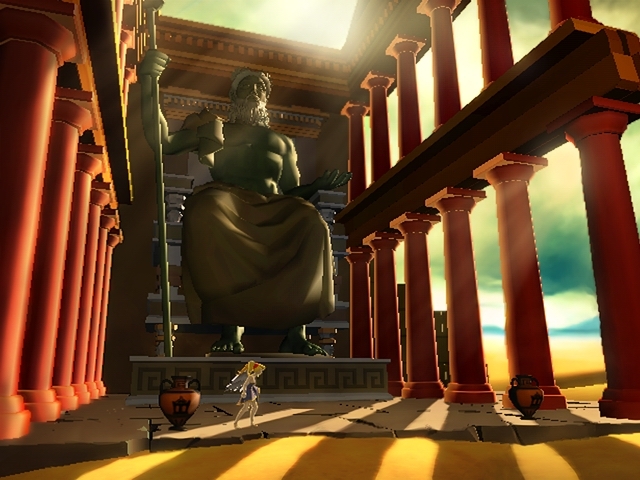 You will be able to invoke the powers of the gods and move platforms, cast rays and control winds while pointing your Wii Remote to the screen . An interaction as never seen before! - A game for one or two players. Play with a friend and maximize your abilities, while one controls Nyx, the other will control the powers from the Gods. - Charming graphics that take full advange of Wii™ technology. Platform: Wii™ - available exclusively via WiiWare™. Players: 1 or 2 players at the same time. Cooperative gameplay. Release Date: Not announced yet (soon).